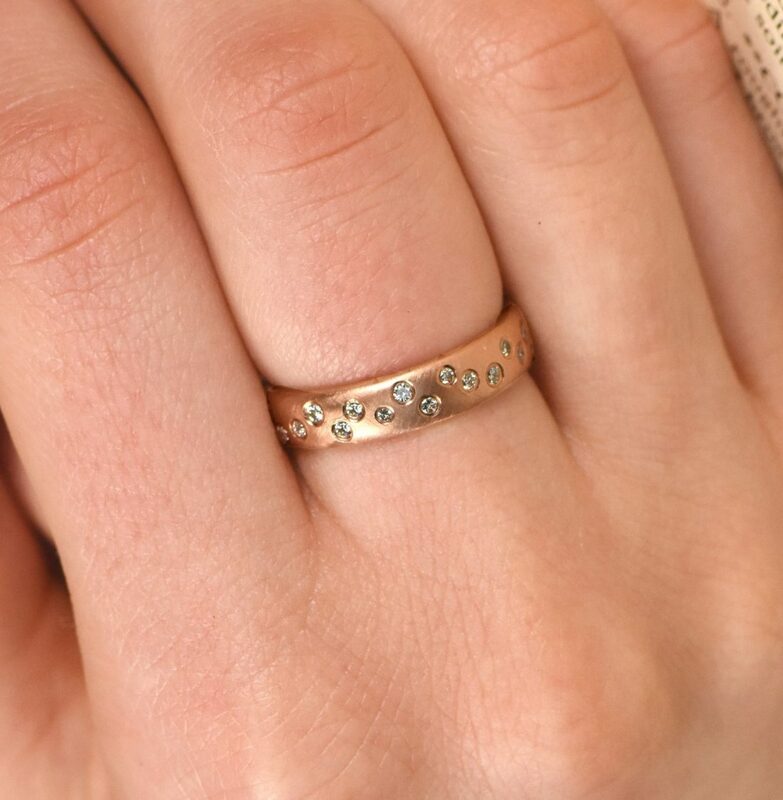 A stunning wide band ring with a scattering of white Canadian fair trade diamonds and matte finish. 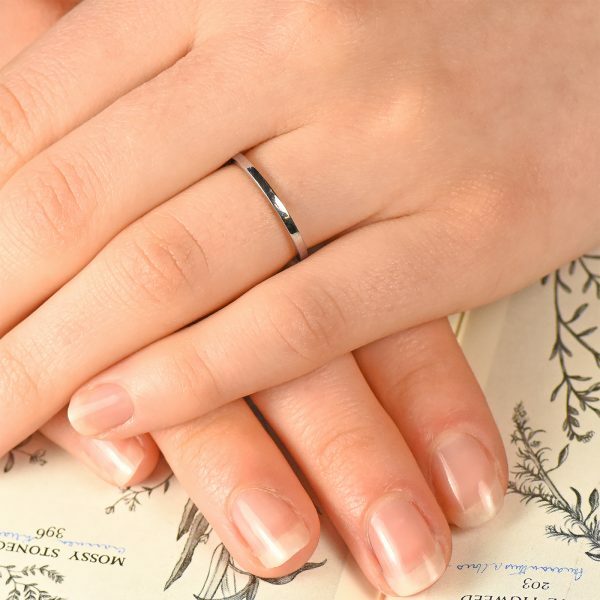 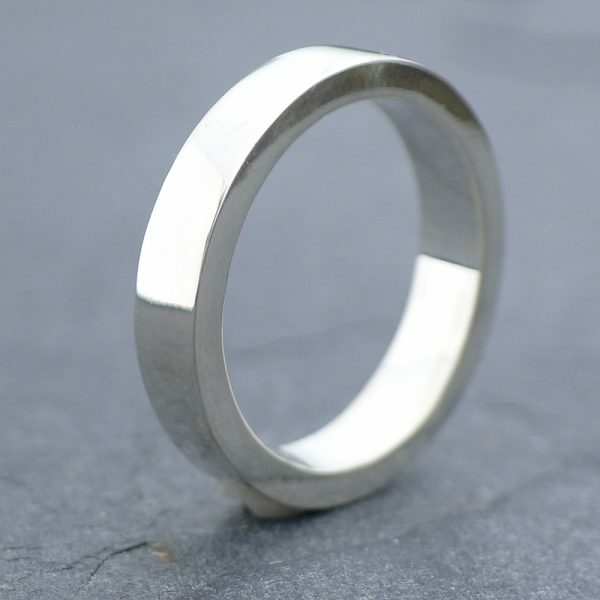 Each ring is expertly crafted by Lilia Nash using tools to bend and shape the metal into the finished band. 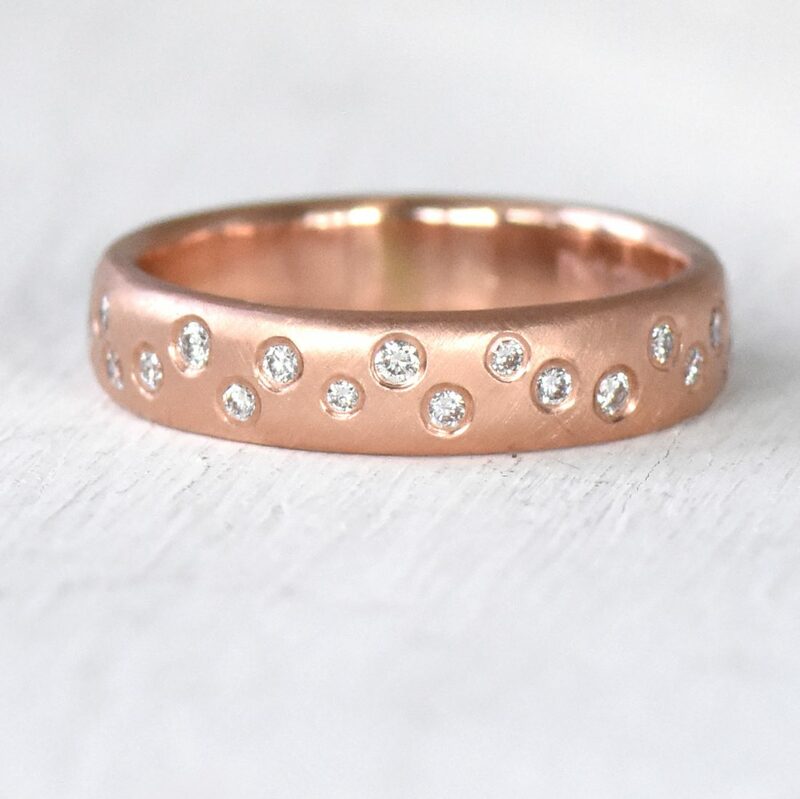 Each diamond setting is hand drilled and set, with 1.3mm and 1.5mm stones giving the front half the ring a brilliant sparkle. 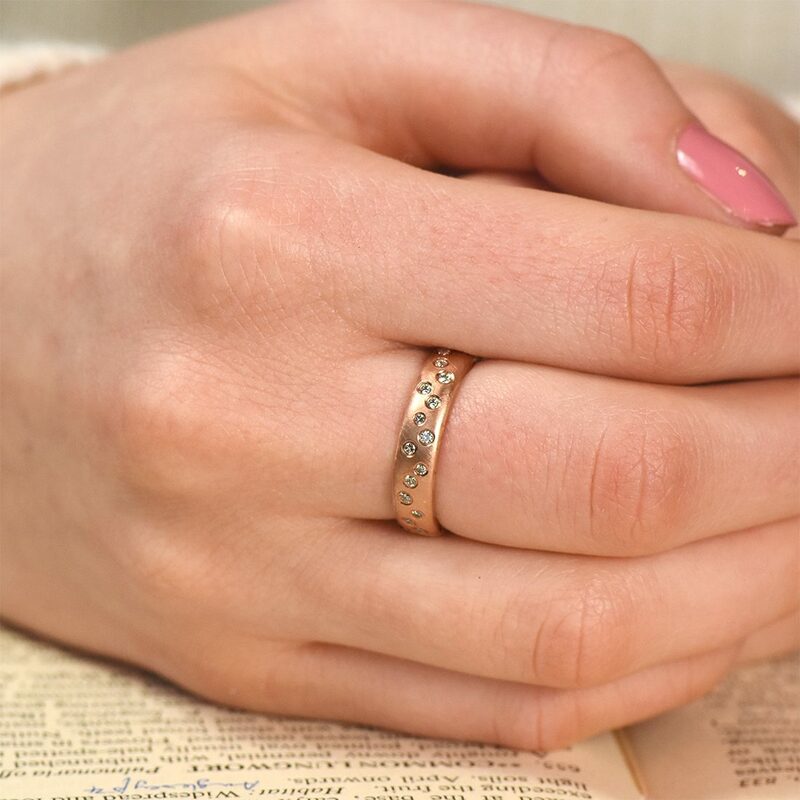 Shown in 18-carat rose gold and available in yellow gold, white gold and platinum, with the option to extend the diamonds 360 degrees around the band. Please contact Lilia for more information about customised designs. 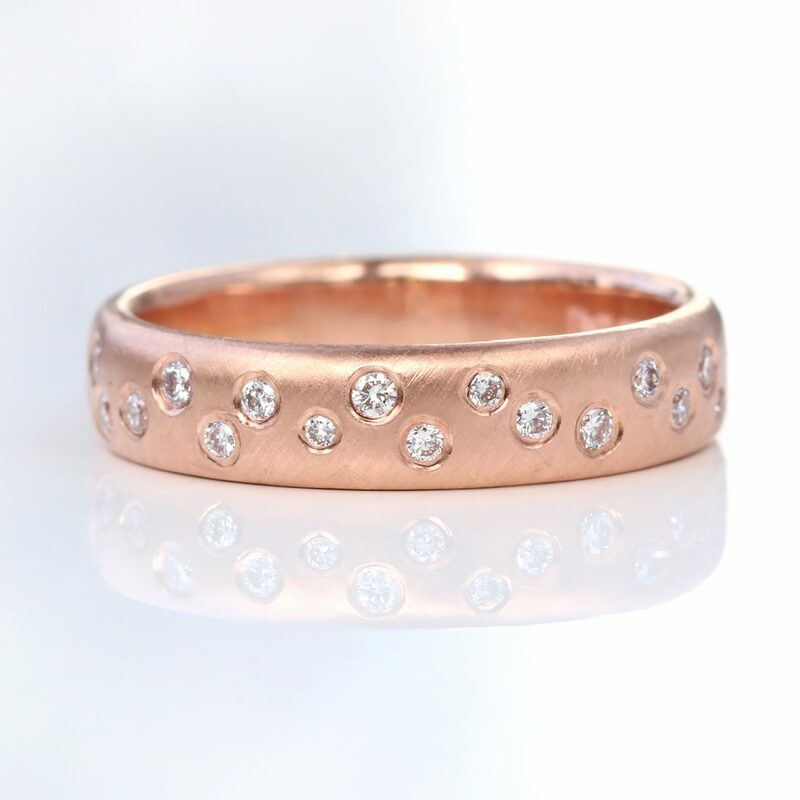 Currently available in 18ct rose gold in size N. All other sizes and metals are handmade to order in 6-8 weeks. 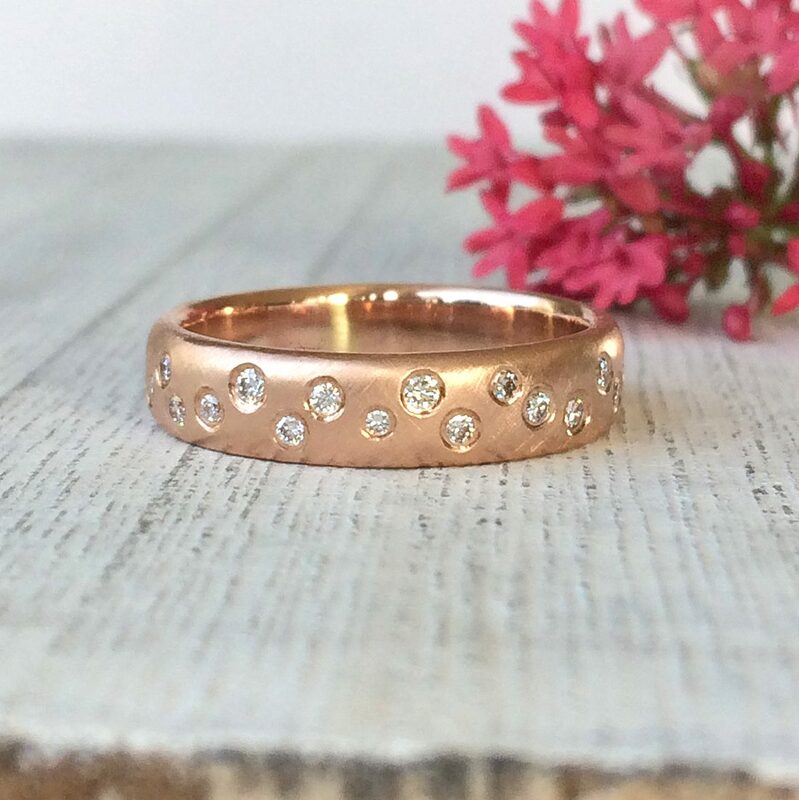 Crisp white diamonds and elegant rose gold make a stunning statement in this ethical fair trade ring. 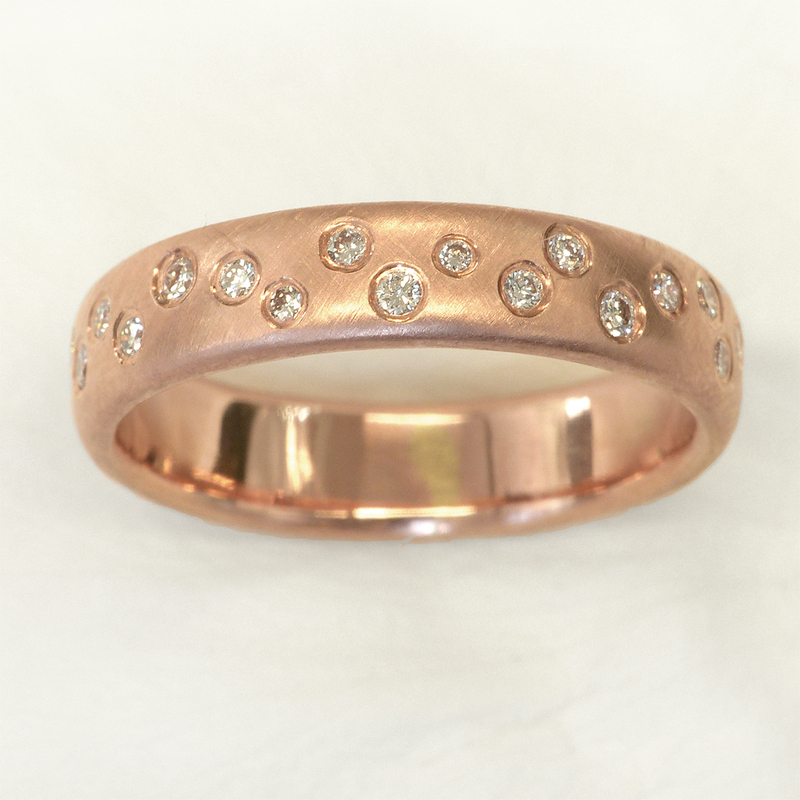 This design features fair trade Canadian origin diamonds, set in 18ct rose (featured), yellow or white gold or platinum. A matte finish has been applied to the band, as it makes the diamonds really pop and catch the light. 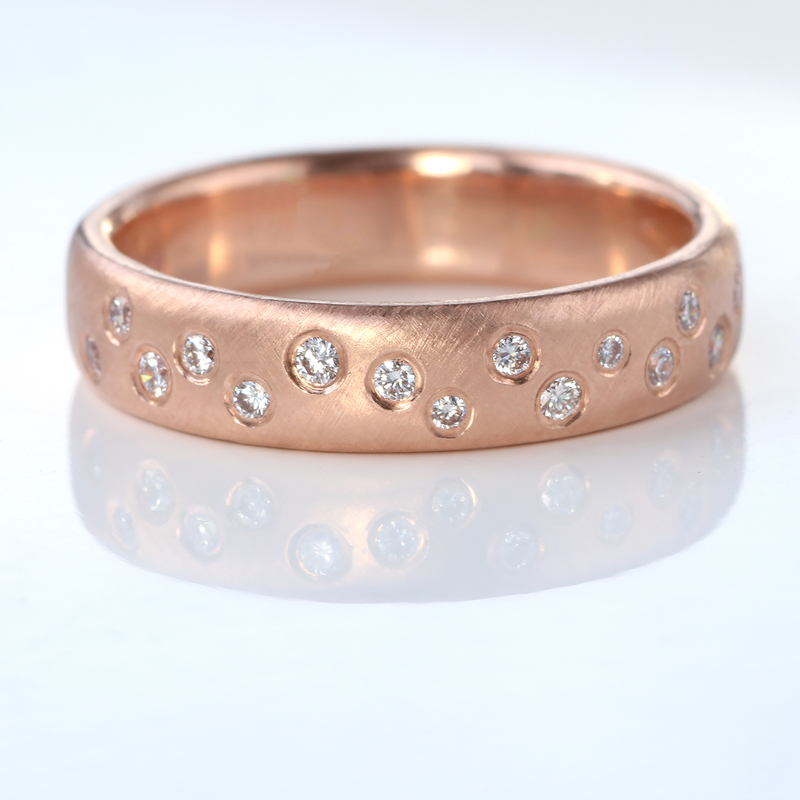 Please note that stones are not set at the back of the ring but can be on request. 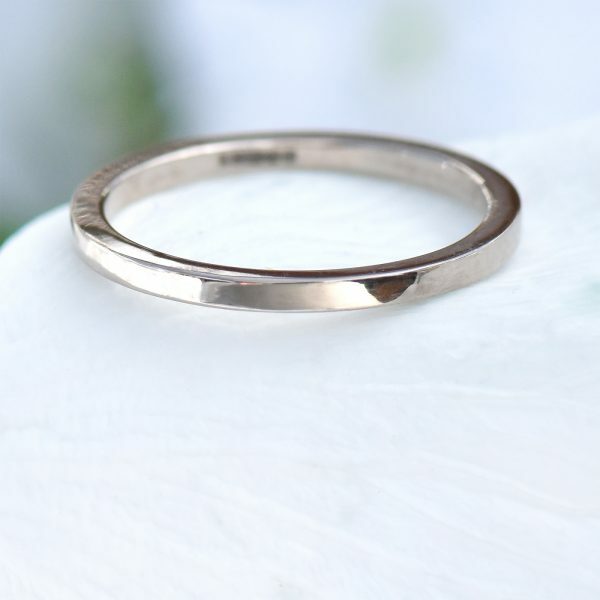 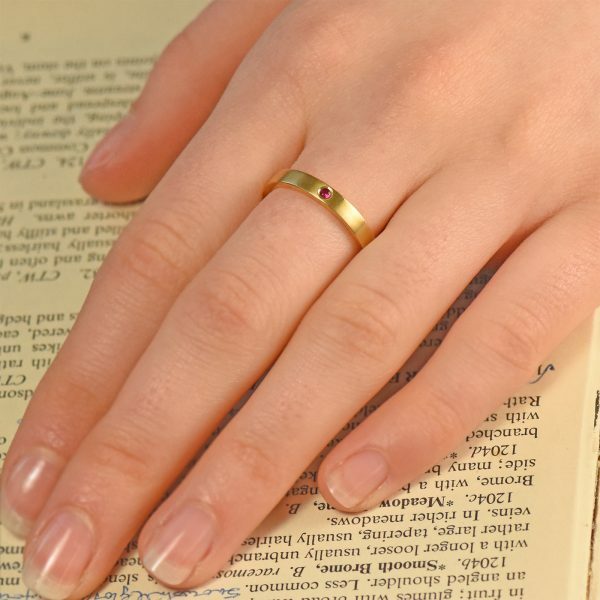 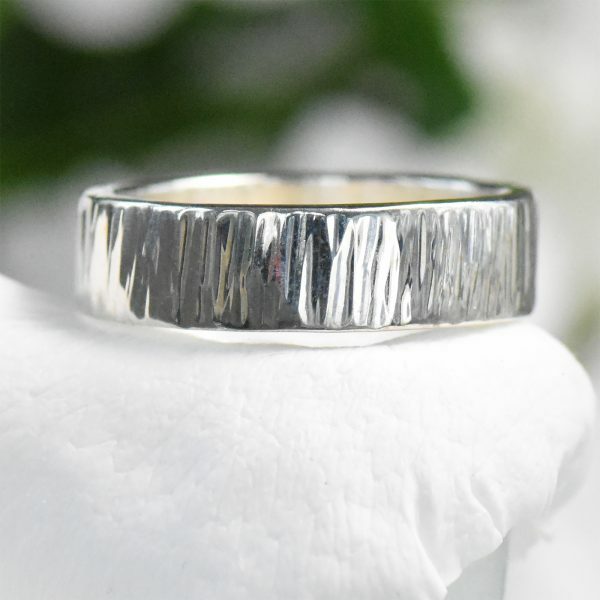 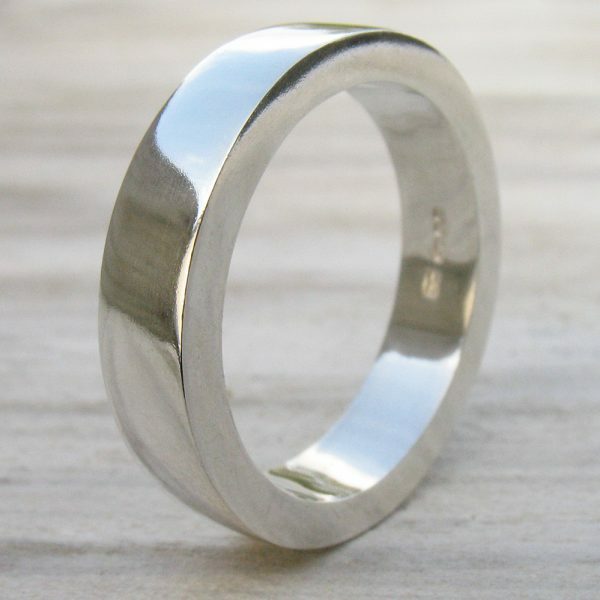 This ring is handmade to order and will be delivered within 6-8 weeks. 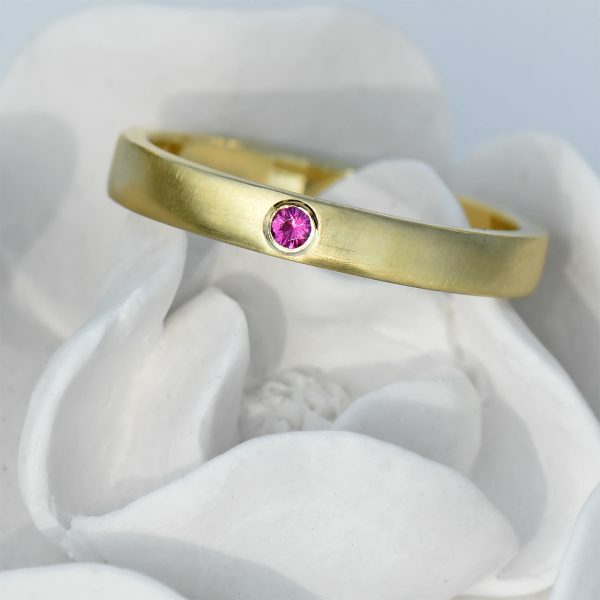 All Lilia Nash jewellery is crafted by Lilia using traditional jewellery making techniques in her studio in the English Cotswolds. 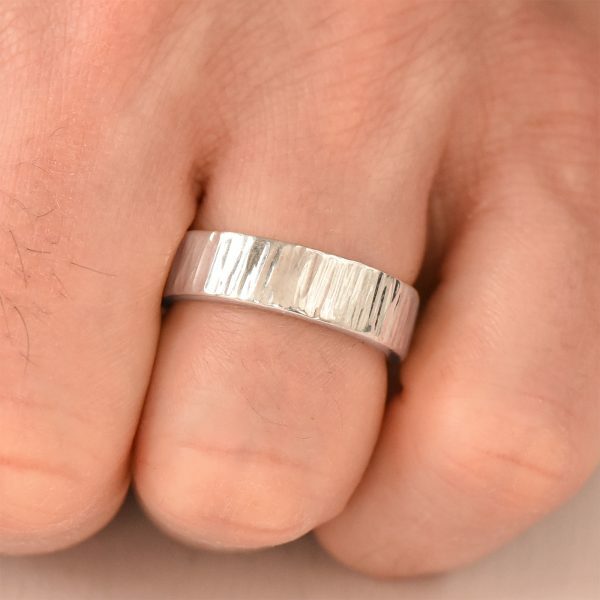 This fair trade diamond ring will be hallmarked by the Birmingham Assay Office and presented in our custom made jewellery box.